What Value do you Present to your Customer? We often only consider the products or services we sell as the value we provide, but when we dig deeper we can see there is so much more. There are two magical words I discovered after selling my engineering company – Value Proposition. It didn’t hit me at first I just thought it was more business mumbo jumbo, another rephrasing of USP (unique selling point) or features and benefits. These two words enable you to dive deep into what value you offer and will start you on a journey of self-discovery, customer and competitor research. When used in combination with Market Segmentation (discussed in a previous article here…) you start unlocking potential opportunities, enable deep customer understanding, identify niches and can create sustainable growth. Ok they are not really magic, they won’t just add 000’s to your bottom line. It still needs a lot of hard work and a pinch of luck but they create focus and in essence turn growth and innovation into a process, a process where the customer is at the centre. In our training workshops, customer based training and implementation programmes the business model and Value Proposition form an essential part of our delivery system. We use a Value Map and Customer Profile Plan as a way of identifying the processes which create the value offering and as a gap analysis to identify missing processes which form part of the company’s overall business system. To do so we use some great tools collated & developed by Alex Osterwalder & Yves Pigneur in their books Business Model Generation and Value Proposition Design and from Competing Against Luck by Clayton Christensen amongst others. Value Proposition refers to the bundle of products, services, features and perceptions that creates value for a specific customer. This value offering is why a customer chooses you and your product/service over a competitors, how you differentiate and why customers keep coming back for more. Improved perception i.e. a qualification adds to a cv. The reasons a customer makes a buying decision and chooses your Value Proposition can be varied and wide. For instance, If you sell luxury goods such as a Mercedes car you may initially think your customer may simply want a high quality and reliable product but also desire your brand and the status that goes with it. However when we go deeper we may find they also buy the features of the vehicle such as the technology, the performance and the aesthetics. Still more things come to play such as location of the garage, the customer may have bought your car simply because the garage is closest to the home or work. Maybe they saw a promotion of the car featured on TV or in a magazine. Maybe they bought the car due to the service they or a friend received, this may have created a bond with a certain sales person or they enjoy the service they get when the bring the car back every 12 months. What you first though as the reason could be completely incorrect, so we should never assume and invest time asking customers questions and doing quality research. The real power of Value Proposition is matching your Value Offering to the Customers Value Profile. You can also do some benchmarking to see where competitors and other suppliers tick boxes you don’t or they fall short of you. In their book Value Proposition Design- Alex Osterwalder & Yves Pigneur, divide the customer profile into three sections as stated below. These three components help to analyse the customers needs. Against these needs we consider what the company offers or needs to offer to satisfy the most important or urgent of these. These can be place on a value map sub as below. Consider Pains which you inflict on customers and what you could do to overcome – remember if it’s not a pain don’t waste your effort removing it! When you consider the VP (Value Proposition) within your full business model it becomes a vital piece of building the full picture and sits at the heart of the model. The business model creates a blueprint of your company bringing together all of the different factors in running your business. Once you understand how your customer perceives the value you provide you can ensure these factors are standardised throughout the company from people to resources and operations so they all work on fulfilling the VP. Good processes and communication to support these efforts. There are two main business models we refer too, Product Led and Customer Led. In the component of VP, a Product Led model looks at your Value Offering first, the combination of services and products you offer and then you identify a customer profile best suited to these. In this model you segment the market based on who would best gain the most value from your VP. In a Customer Led model you target a specific Customer Profile and develop you Value Offering to best match the customers needs. Here you create a product to suit the market. It doesn’t have to be from the drawing board up, it could simple be a slight reconfiguration of existing products, from different branding or packaging to altering the content. E.g. baked beans to beans and sausages! In my experience most companies start with a Product Led model. This is often due the owners experience and skill set, or the company’s current resources. However your choices in innovating and adding new resources shouldn’t be restricted to either. The model needs to be considered as a whole with the customer taking centre position. With your current value offering you may be able to identify new market segments which would offer additional growth, or you could add additional capacity to increase sales from current customers. In all models the customer must be your focus. To gain the full benefit of the business model tool you must gain a deep understanding of your customers. This underpinning knowledge will help decision making, remove waste to drive down cost and engage customers to create loyalty. 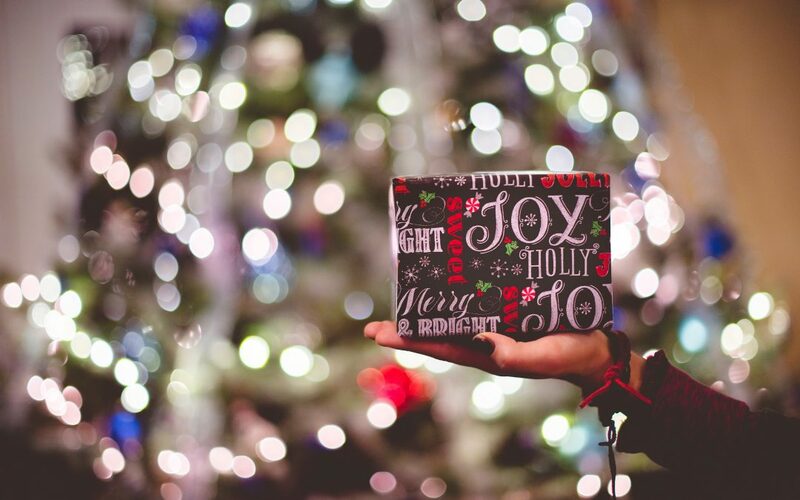 When you begin your customer profiling it is important to understand what a customer actually buys from you and the reasons why they buy will be unique to their situation. If you sell B2B for instance, the Buyer will have a different situation to the Purchasing Controller who in turn will have a different situation to Goods In, the Quality Manager and the Designer/Specifier. Each of these maybe a factor to you as any one of these could be the reason why you win that new order and receive ongoing ones. To ensure those sales create a profile for each person or persona and develop their unique value offering in order to ensure business. This is where customer profiling and segmentation is so useful. It works across all industry from selling products on Amazon, to writing blogs or cleaning windows. You can group customers by their desired features and actual reasons they make buying choices – oh and don’t think a customer actually knows what they want! They may have a perception but it takes deep extensive research to fully understand. Great innovations often occur when customers are offered something they didn’t know they wanted. Instead they are offered a solution to a job they have and can provide a greater gain or remove more pain than existing solutions. An example of this is for me was WordPress. WordPress offers an extensive do it yourself website solution. For many people and companies building a website was a mystic art which required a professional to conjure up something through HTML. For years I had outsourced my website building. I felt I didn’t have the time, knowledge or ability to create one. WordPress changed that for me and I’m not the only one, as since its first version in 2003, WordPress has now been used to create 28% of the worlds websites and has been valued in the Billions! The software enable me to build www.businessbyprocess.com myself with only a little support and for very little cost. This was of particular importance as the building process was quite organic and I needed the freedom to change and update quite quickly. This eliminated several Pain points and allowed me to get a job done. WordPress itself is a good example of Value Proposition. It started from a job point. The creators Matt Mullenweg and Mike Little were early bloggers who developed the first version following their current software being discontinued. The software developed as open source enabling it to grow quickly with the assistance of others through plugin add-ons to become the powerhouse it is now. WordPress first developed as a blogging site but became a fully-fledged website builder with a combination of simplicity for easy building through templates and depth to enable vast customisation once the user had developed their required skills. The value they created in providing a solution to their own job of blogging and their pains of having no software enabled the world to create their own websites either for free or at a very low cost. This led to the solopreneurs being able to start blogs, or set up websites to sell product and advertise services. The cost to build a site was no longer prohibitive and even better the site could be built how the customer wanted. The Pain this relieved was enormous – just think of how many times you have tried to explain what you want from someone only to get something which misses the mark completely! We all have our own perception of what looks good, and by taking full control without needing to learn code we could make it happen. The end result is people like me have the power to start our own websites. We can do it anywhere at anytime. It could create your second income or be a work of passion. When the creators first developed WordPress I’m sure I wasn’t their target market – to be honest I’d never even heard of it!, but as I discover a job needed doing one which I couldn’t articulate clearly this software gave me control. There are many other web building sites available such as Shopify and WIX which have positioned their Value Proposition slightly differently. Shopify make it super simple to set up a retail site and get up and running selling products as quickly as possible. Their value offering also includes their e-newsletter and blog with case studies, information, guides and as much support as possible to make it easy to be up and selling as quickly as possible with success. Spotify is a good example of positioning – how a product which in essence is a website builder can be perceived differently through branding and marketing. Spotify chose a niche of retail website building and created a sales strategy around that. They didn’t compete head on with WordPress they sliced off a piece of their web-builder market and focused their marketing on a specific customer profile. 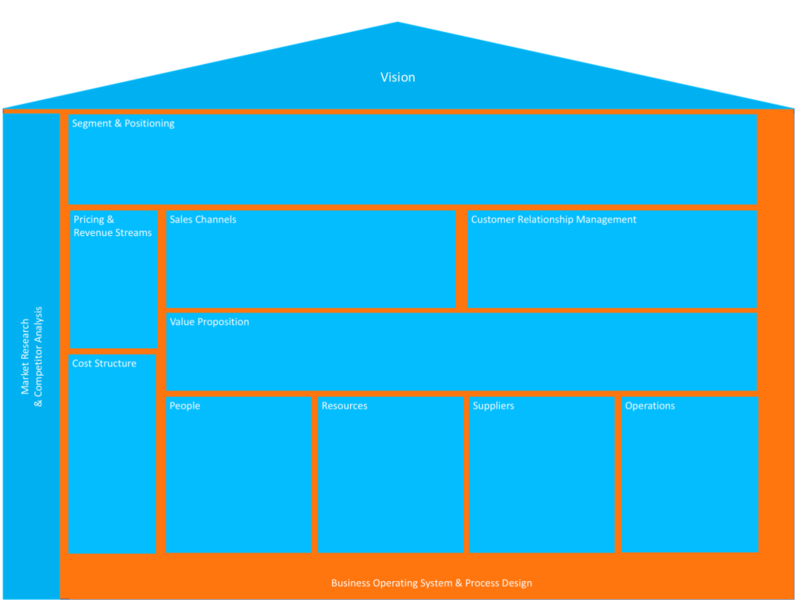 When we flip the model around and focus on the customer we can look to identify niches and blue ocean opportunities. These are markets and positions yet unfulfilled by competitors. Will still need customers to fit within our business scope but we can slice up the market and then create unique models around a Value Map to meet the needs of these customer profiles. 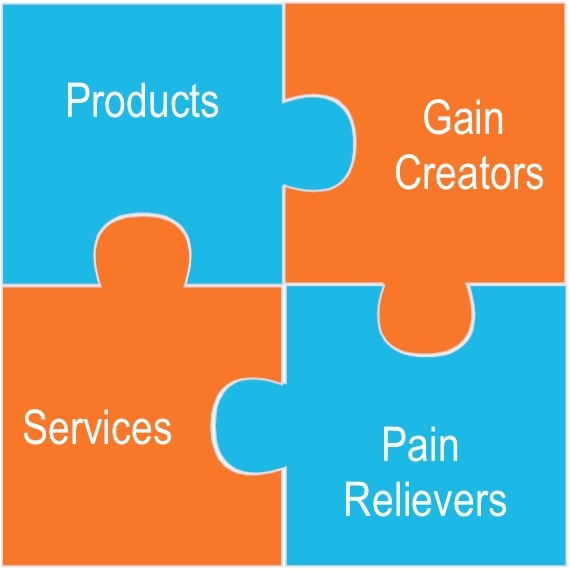 Are their pains not satisfied?, or the gains not sufficient?, can you innovate in a way which makes your product more suitable?, or could you simply rebrand a product in a way that targets a new market with a very specific position. By adopting the tools of Value Proposition and making it a core component of your business model, it will help you sustain, grow and innovate in your business. I believe many small companies and business owners are not aware or overlook this important tool, they may create a SWOT within their business plan which is probably never used sitting in a cupboard somewhere , but this VP can be integrated into your daily processes be used as way to steer customer centred innovation, improvement and communication.